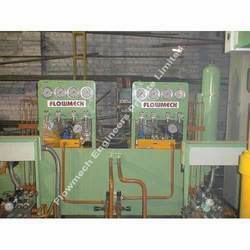 Manufacturer of a wide range of products which include hydraulic power pack units. We are the leading manufacturer and exporter of Hydraulic Power Pack Unit. We offer customers hydraulic power pack & hydraulic power pack units that are precision designed keeping in view fast growing requirement for low cost, reliability, flexibility as well as other trends prevailing in the markets. These can be delivered by permutations of various size of motors, tanks, pumps. Further, all power pack units will be used standard make as vickers, yuken, rexroth, polyhydron etc. Looking for Hydraulic Power Pack Unit ?